How Harvey the horse gave Kelsey Aboud hope and a new outlook on life. Before Christmas, Kelsey Aboud met with her boss in a last-ditch effort to save her career — a transfer to a different city, she thought, might help. 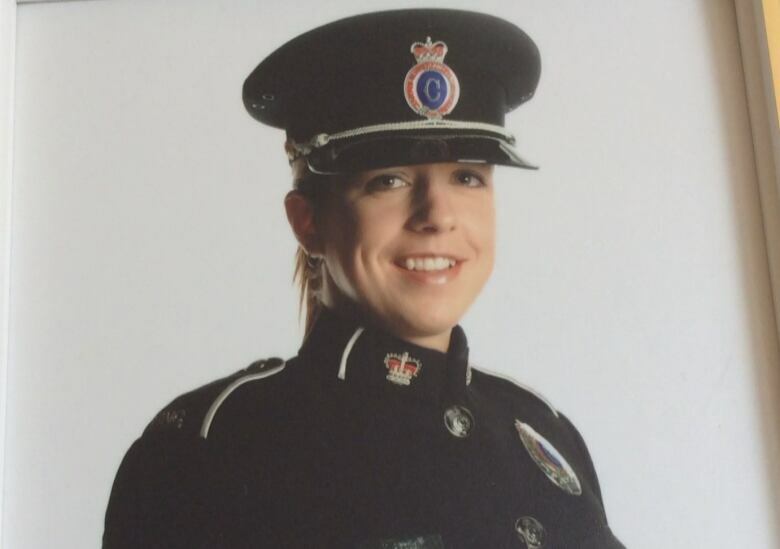 The Royal Newfoundland Constabulary officer had been struggling with post-traumatic stress disorder (PTSD), a diagnosis she first received in 2015, and had been trying to overcome ever since. 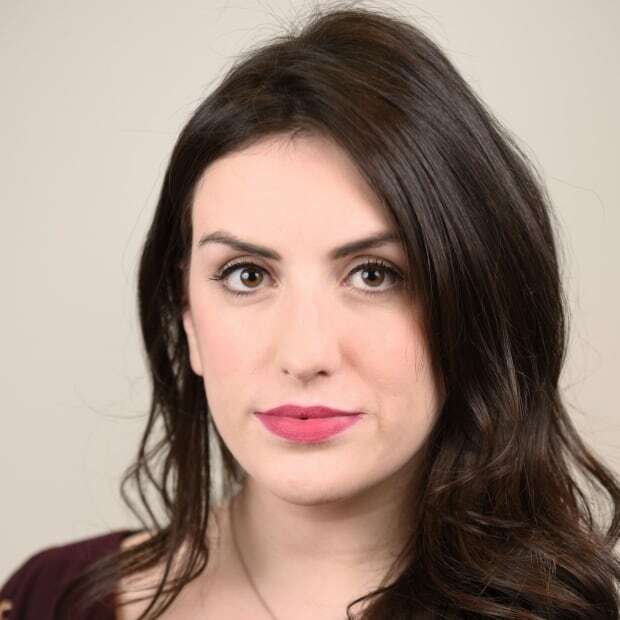 "I thought that was my last option, to get out of St John's where a lot of my triggers are, and a lot of the issues I had, so I thought going to Corner Brook would help solve it," Aboud said. "But in the grand scheme of things, I was just running away from my issues, and [Chief Joe Boland] thought so too." Boland, the RNC's newest top cop who has made a point to publicly discuss mental illness and encourage members struggling to come forward, suggested Aboud join the mounted unit. "He thought this would be a great fit, and to be honest, he saved my career," said Aboud. After training with the Toronto Police Service for eight weeks, Aboud was officially welcomed into the fold at a ceremony last Friday. "I feel wonderful," she said. "It feels like when I just came out of the police academy, 15 years ago, when you're happy and full of energy, and I just feel like a new person." She looks like a new person, too — her smile is wide as she pets down Harvey, a seven-year-old Percheron Cross, at a stable on the grounds of Government House in St. John's. It provides a blissfulness that's in stark contrast to her previous roles within the force. As a street patrol officer, she responded to fatalities. She witnessed cases of child abuse and sexual assaults. While in the investigative interview unit, she repeatedly listened and was traumatized by hearing about other people's suffering. 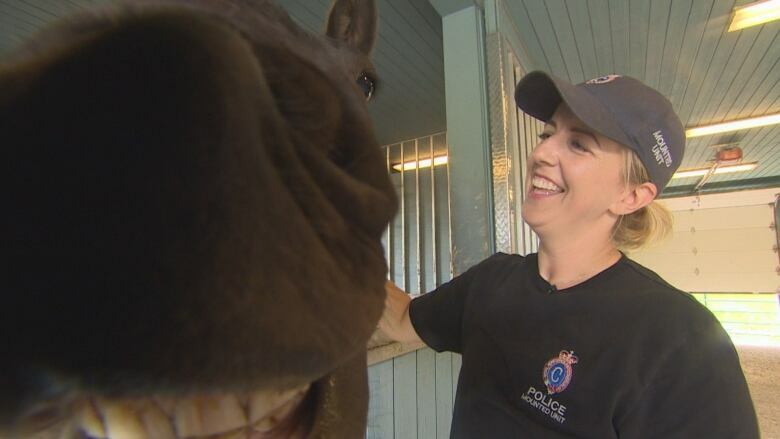 Aboud has now learned she's exactly where she's meant to be — in a quiet, picturesque stable in St. John's, tending to Harvey and Rich, the RNC's other police horse. "Oh my gosh, it is so therapeutic. It makes me want to come into work," she said. "They have such a gentle demeanour. They'll just make you smile and let you forget all of your troubles." The mounted unit takes part in missing persons and other ground searches as well as patrol and community events. The horses are also trained in crowd control. But Aboud and Boland are hoping to expand on Harvey and Rich's duties, adding therapy animals to the list. The RNC is in talks with the Avalon Equestrian Centre to create an equine therapy program aimed at helping people with PTSD, mental health issues and addiction. "We know and it's been proven that they have that healing effect," said Aboud.